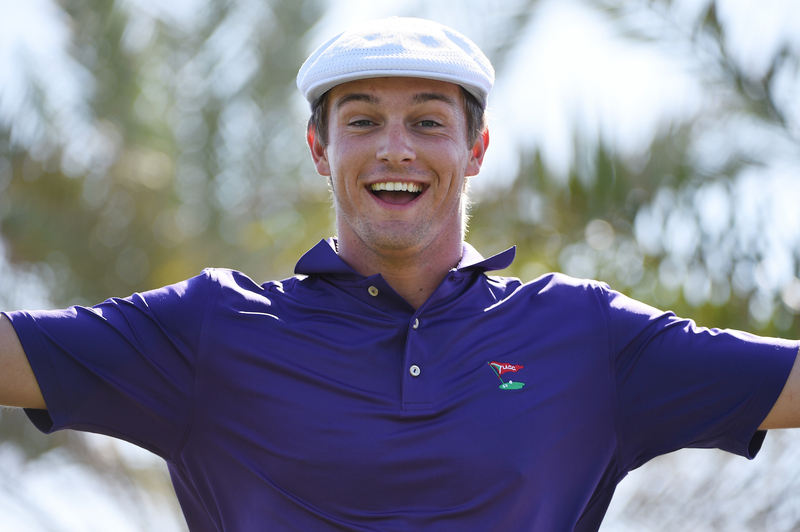 Latest > Who is Bryson DeChambeau? 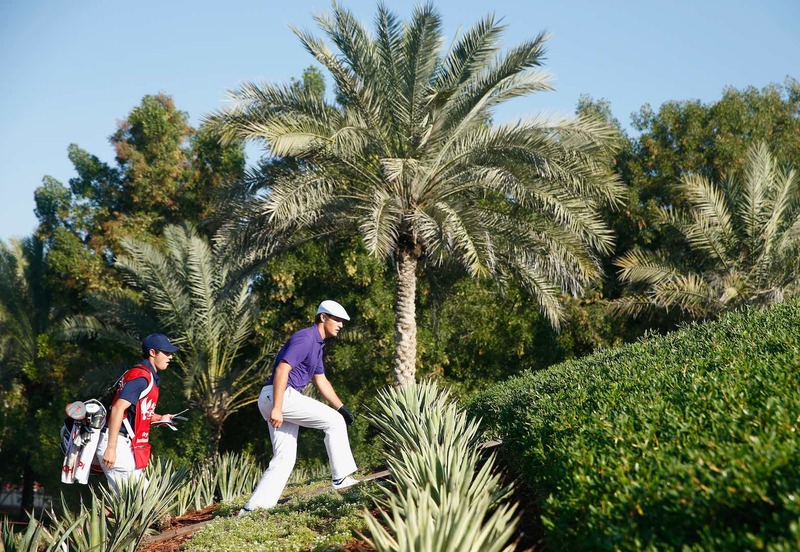 Today at the Abu Dhabi HSBC Golf Championships it is an Amateur who leads. That’s right, an Amateur. Bryson DeChambeau currently leads the World Number One, Jordan Spieth, the European Number One, Rory McIlroy and other stellar names such as Henrik Stenson, Ricky Fowler and Martin Kaymer. He's also pretty bonkers. A physics major, he calls himself a golf scientist and he has an interesting approach to his equipment. He's signed up, not with TaylorMade or Callaway but with Edel Golf who create clubs for him to a very unusual spec: All his irons and wedges have the same shaft length and lie angle, the only thing that is different are the lofts. His idea is he only has to make one swing that way. "Hey, hey we're the Chambeees!!" His round today was simple sublime, scoring an eight under par 64 that included one eagle, seven birdies, nine pars and only one bogey. 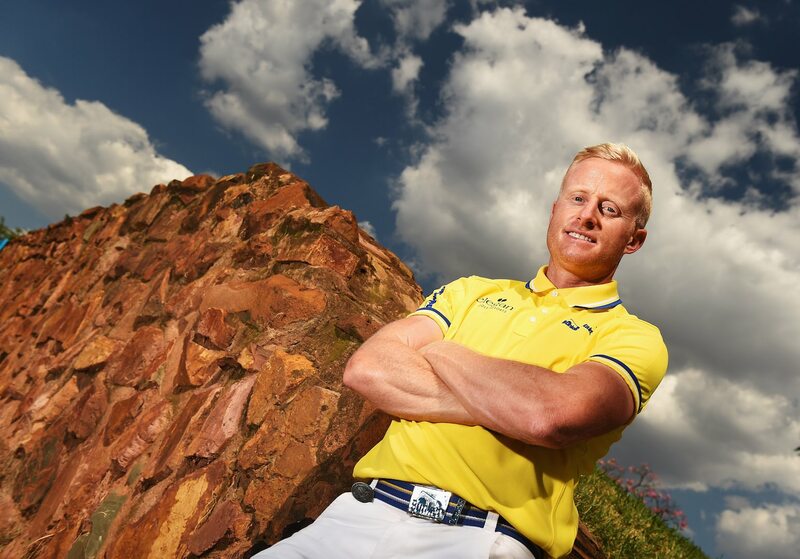 He currently holds a one shot lead over Stenson after the first day. But who exactly is Bryson DeChambeau? He seems to think he's George Washington (see below). One thing is certain, you’ll be hearing his name a lot over the coming years once he turns professional. 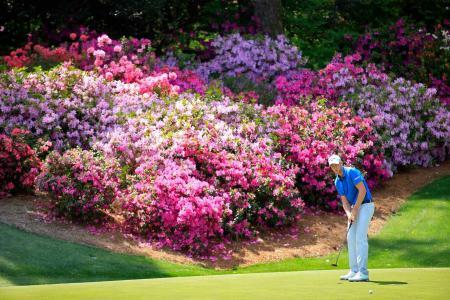 For now he’ll remain a Amateur given that he has qualified for the Masters in Augusta with that status. Is Bryson the new Moe Norman? The 22 year old American is only the 5th man to hold both of the USA’s top Amateur prizes in one season, winning the NCAA Division One Championship and the U.S Amateur Championship in 2015. In winning the U.S Amateur Championship he joined a list a impressive former champions who have since become household names including, Jack Nicklaus, Arnold Palmer, Tiger Woods, Phil Mickelson and Matt Kuchar. "Sodding treasure must be buried somewhere round here..."
DeChambeau has also represented his country in a number of Amateur Team competitions including the Palmer Cup, Eisenhower Cup and most recently at Royal Lytham St Annes for the Walker Cup. 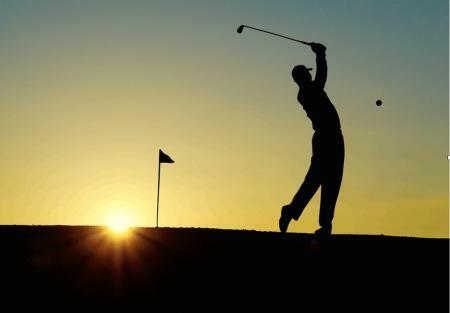 In total he has won six tournaments as a Amateur. More recently DeChambeau also played with the professionals at the Australian Open in 2015 where he finished as runner up to Peter Senior. Now of course, he leads the Abu Dhabi HSBC Golf Championship. One thing is for certain, given his previous record, he’ll aim to stay there.